Few people may have heard of Yu Jun outside of China. However, now the Senior Vice President of Product at Didi, Yu Jun was one of the earliest product managers of the Chinese internet. He has been an indispensable piece of the puzzle in the legendary history of the Chinese internet since 2000. Yu started his career as a product manager at Baidu in 2000, where he led the development of two of Baidu’s signature products Baidu Tieba and Baidu Zhidao. Before he left the company in 2009 as the Vice President of Product, Baidu Tieba had already developed into one of the biggest and also most influential online communities in China. Then after spending seven eremitic years, he joined Didi in 2016 as its Senior Vice President of Product. Restarting his product development career at this five-year old company, he’s now taking a “fascinating challenge” together with young talents in this complex market. To have a better understanding of Didi’s product strategy as well as Yu’s product philosophy, China Tech Insights interviewed Yu Jun to discuss Didi’s three-year plan and also his thoughts on new products for the Chinese mobile internet today. Considering a less competitive domestic market in China today, what will be Didi’s focus in the next three years? At present, our biggest headache is still the problem of supply and balance. We have a very special business model. The model that we are currently serving has a much smaller supply than its demand. In most other businesses, such as gaming, or e-commerce, supply is never the challenge as long as you have a proper organization. You just need to identify the users’ needs. But for the ride-hailing business, users’ demand is infinite. The more disposable income users have, the higher the demand for ride-hailing services is. However, the speed of growth of Chinese users’ demand is now faster than that of the supply of vehicles and roads. Thus we have to explore all these models with a view to maintaining a proper balance of demand and supply. During certain time periods, the situation can be more acute than average, like rush hours, and in certain weather conditions – rainy days, hot days, freezing days, you name it. Under such special circumstances, demand may rise by 30% or 50%. However, supply won’t rise in a blink. At best, you may be able to have a boost in supply within a 3% to 5% range with surge pricing. So time has become an important variable in this issue. And there’s also the problem of space – supply varies from block to block. For instance, normally the downtown area sees the greatest demand in the morning. However, the majority of drivers live in more distant regions factoring in affordability. Then in the morning, when drivers have yet to enter the downtown area, there will always be a gap in supply. Occasionally, there may be a temporary balance of supply and demand. But it’s very rare. We have made a great effort to ensure such a balance occurs more often. Meanwhile, we have to deal with the social pressure as well. Every day millions of people may fail to get a ride on Didi, and they’ll have complaints – they may not say it out loud, but their dissatisfactions are still there. We have to actively find solutions to this problem, while being very discreet in the process. So we have to increase the supply while improving the efficiency in small increments. What approaches have you adopted to improve the efficiency? Yu: There are always so many requests that force product managers to decide on which to make a priority. But how do we sort these requests and decide which ones to make a priority? Shall we grant higher priorities to frequent users, or shall we adopt a membership scheme? And there will also be special groups whose needs you must prioritize, such as the elderlies, or patients. When we can’t meet all those requests, we need to choose. What kind of requests need to be prioritized? How to ensure the fairness and rationality of the process? We have to go beyond technology to find a solution, looking into fields like ethics, economics, and psychology. So I think the complexity of our business is really fascinating. We’ve reached out to experts and researchers in different disciplines and they’re all intrigued by this supply and demand complex, and are willing to be involved – it’s rare to find such a challenging but also fascinating problem. This is not only an issue of Didi’s business, but an issue of urban transportation as a whole. It’s a social issue in essence. Yu: Yes. Because the ceiling of Didi’s business depends on the ceiling of the urban transportation system as a whole. If the average road speed for a city rises from 10 km/h to 10.5 km/h, the benefits for Didi can be significant. That is why we are also working on Smart Transportation initiatives with city governments. We’re helping many cities to adjust their traffic light system in order to improve their transportation efficiency. We’re also helping some local administrations to optimize their bus system, though it doesn’t seem to have a direct relation with us. If we can help them to develop more reasonable routes, or better schedules to improve efficiency – no matter to boost its capacity or to reduce empty buses on the road, it’ll also benefit us in the long run. You won’t see an immediate reward but it’ll be a slow but effective process. Didi has several product lines, such as Didi Express, Didi Premier and Didi Hitch. With such a complex system, which specific business will be your main focus in the next stage? Yu: At the moment, carpooling is the most obvious direction for us since its development has few uncertainties. We’re also testing out a queuing system in some areas. 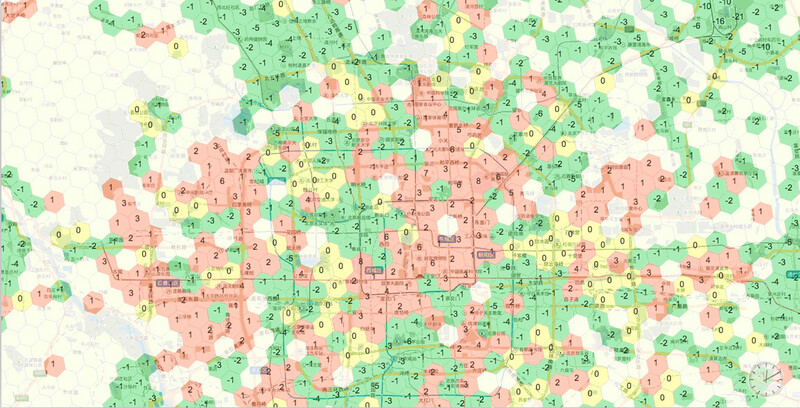 Riders can choose to be waitlisted when they can’t get a ride, then they’ll know exactly how many people are ahead of them.But this is still in early stage and need more experiment. Should we offer exceptions when someone has an emergency and needs to jump the queue? We have to do a lot to identify those special needs as well. Also, drivers have been complaining a lot about the fairness of our rules. We have also done a lot to improve these rules and now have seen the most progress in this aspect in the past half a year thanks to more advanced algorithms. Didi is operating a non-standard business. The app itself covers only a small fraction of their entire experience. We can improve their experiences by shortening the reaction time of our app, or offering better customer services. But the most part of riders’ experience depends on the driver – how driver picks up riders, how he communicates with riders, whether he has been driving safely and how his manner is. The service offered by every driver can be different. Even for the same driver, the quality of service may fluctuate just because he didn’t have a good night’s rest. It’s easy to trigger disputes. Then with what mechanism can we ensure that disputes are settled in a fair way? It involves so many parties that we have to invite behavioral psychologists to engage in the process of rule-setting. It’s fascinating but also challenging, and essential for the stabilization of our business. Then how do you decide Didi’s stance in this multi-dimensional relationship? Once you set the price yourselves, it would be easy to piss off both sides. Riders tend to think you’re overcharging them. On the other hand, drivers always hope the price can be as high as possible. They will think you’re siding with riders no matter what price you have. So you have to find a balance in between. So do we have to set the price ourselves? There might be a new model in the future – maybe a combined model with set pricing as well as a bidding system. This is not a perfect competition with sufficient drivers and riders, and sufficient time for free choice. The market we are facing now is a temporary, small-scale market confined to a limited area. For example in certain time, there might be over 100 orders but only 30 drivers within three kilometers. If drivers and riders can’t get their matchups completed within a few minutes, they’ll leave. So we must complete the matching in the first few minutes. With each minute of delay, both the loss of drivers and the loss of riders will increase. Of course, we can have free bidding for prices. But for more than 90% of our users, the time spent on the bidding and selection would be unnecessary. We can calculate a proper rate based on the time, location and current status of supply. For each order, the rate may be slightly lower or higher. But when it comes to the system as a whole, this is the most efficient operation manner. Riders and drivers may be dissatisfied with the rate if it doesn’t meet their expectation, but this is the result you have to take if you choose this model. For most users, Didi is just a tool. Have you ever considered how Didi can build up the connection with users? Yu: We are trying to offer more customized features to our users. For example, if a rider doesn’t like a certain driver, can we give him the choice to block the driver, and vice versa? Some riders may prefer drivers to call them in advance, but some prefer not. Some riders like to talk to the drivers while others don’t. These can all be added into our requirements pool to make the matching more customized. We’ll try to explore all these possibilities, and let market and data decide whether Didi should apply them. Some of these requirements are just yet to be on our priority list. But through fulfilling these customized requirements bit by bit, in a long term, it will be easier for us to build up users’ personal connections with our product. For example, we once have an experimental product Didi Kids, in which we offer child safety seats. At that time, we deployed several hundreds of cars with safety seats. It turns out that Didi Kids generates a very good word of mouth. We also offer cars that can host wheelchairs. Very few users may need them but when it comes to people with special needs, feedbacks are generally positive. Maybe we will explore more minority needs like this in the future. In a recent sharing, you grouped product managers into three levels. The A-level product managers are believed to be natural-born product managers with good instincts. The B-level aren’t as talented but has no problems with their basic sense. But you mentioned C-level ones have flaws with their rationales and aren’t qualified as product managers. 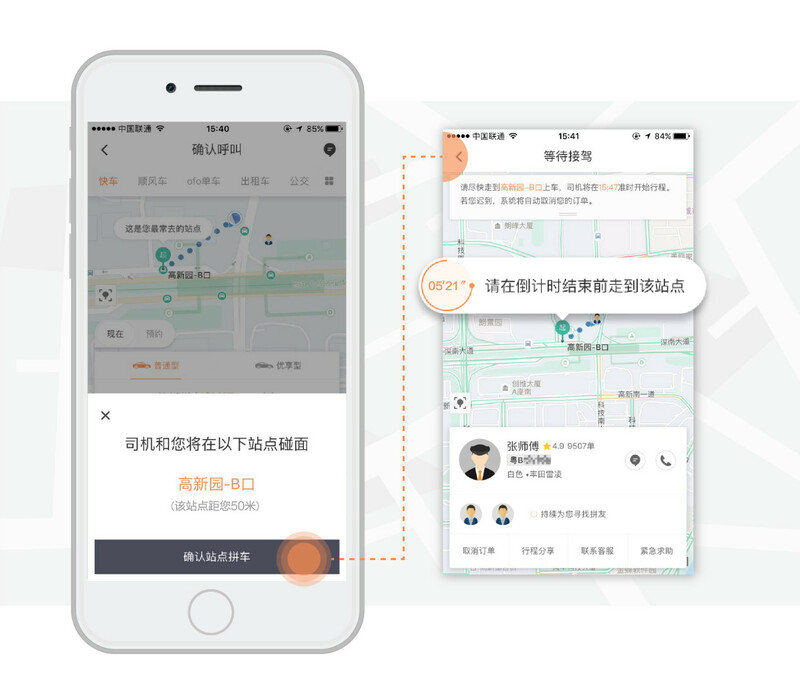 What’s the percentage of product managers of each level in Didi’s team now? Yu: When I came to Didi a year ago, the ratio of ABC was 1:7:2, but now it should be 2:7:1. We have recruited over 100 product managers in the past year and about fifty product managers also left. Among the 100 we recruited, there are about a dozen that I think can be qualified as A-level. So it means we can find one A-level product manager each month. it is exciting to see great talents to join Didi. You also said that you want to build the best product management team for Didi. So far, what has Didi done to develop this team apart from recruitment? Yu: What we have done can be summarized into three categories. The first is internal training program. We arrange training sessions, encourage product managers to review their work, communicate with external teams, and learn by themselves. Secondly, we have a promotion system in which junior product managers will not be bothered by promotion within first three years. They do not need to worry about what project to pick, to have a better promotion chance and what materials need to be prepared for next assessment. It can help product managers focus on more important tasks, instead of being obsessed by administrative affairs. Then when it comes to the third or fourth year, one can choose to challenge themselves to see whether they can be promoted to middle level. With around 300 product managers onboard now, we have a judging team consisting of senior product managers. It’s like a public voting board, and it will assess all the achievements of a product manager by daily work logs. With this system, everyone can just focus on the dedicated tasks for Didi product. The third is the commitment to advocate real talents. We keep telling core product team leaders that their achievements in the next three years aren’t merely a reflection of their own capacity but also the team’s. They have realized that it’s important – but challenging — to get A-level talents. Now when they find one, they will certainly cherish the talent and provide them a better and faster career development path. If team has better competence, you can learn and develop quickly as well. In fact, when the percentage of A-level talents rises in your team, you’ll feel a betterment of product culture and atmosphere throughout the team, and the passion for product can be nurtured. With that passion, the entire team can move ahead faster. You listed empathy as one of the most important characteristics for A-level product managers. Is empathy natured or nurtured? Is there a way to nurture one’s empathy? Yu: Empathy is by nature, just like painting or writing. This is without doubt. However, to become a great product manager, you don’t need to be a world champion of empathy, only need to reach a certain level that’s enough for your work. So for most people, working hard is enough. To improve empathy, there’re three things to be kept in mind: experience, observation, and willingness. First is experience. It would be easy for you to resonate with others if you have shared experiences. So no matter what product you are working on, make sure you use it in person. Second is observation. Trying to observe how other people use your product, and whether they are satisfied, through all sorts of channels you could obtain key information. Also, you need to combine observations with experiences. For example, I didn’t read a lot before but now I make myself read classics. I realized that should I had read these books ten years ago, I might not be able to fully understand what authors meant to say without years of experience in product. Now when I read these classics, I tend to take in knowledge in combination with real-world issues I’ve encountered. And the last one is willingness, specifically, your willingness to understand others from their perspectives. Some people are smart but indifferent in that they’re reluctant to take others’ stance. If you have strong willingness to understand others’ feelings, you can make a difference. We require product managers to serve at call centers for some time every month, to cultivate their empathy capacity. We also require our executive management to take orders as Didi driver every month – they are required to make certain revenues, and are ranked as well. In this way, they can experience our products in person. You were known for your PM 12 Principles (“12 Rules for Product Managers”). Then what do you think are the most crucial principles for product managers today? Yu: It varies for product managers of different levels. For young product managers, environment and their understanding of user value are the most important. If you’re a newbie in this industry, having a good environment can be more personally cultivating. But for senior product managers, the concept of ownership is essential. Only when you claim ownership to your product, can you take it to another level and achieve more breakthroughs.